Stainless steel trench grates and tile insert grates from EJ Group are built tough to provide long-term service in various heavy duty applications. EJ’s stainless steel trench grates are much superior to conventional stainless steel grates seen on pedestrian walkways, malls and streets that bend under pressure from continuous normal, everyday traffic. EJ grates will not buckle or succumb to frame twisting under normal conditions. 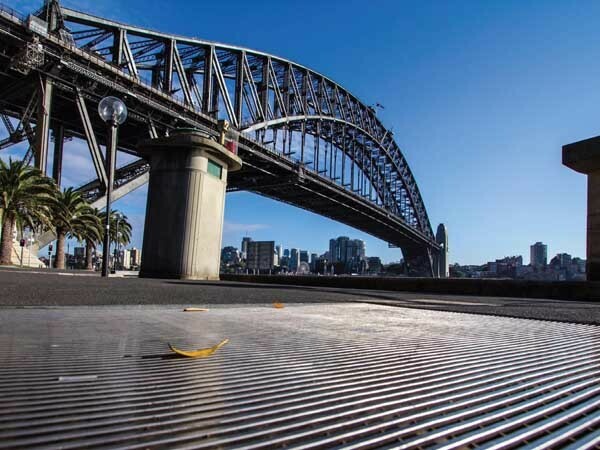 Being heel-proof, these stainless steel grates are ideal for areas such as city building entryways, stadiums, entertainment venues, and pedestrian walkways at boulevards and shopping malls. EJ ensures the use of excellent quality stainless steel when manufacturing tile insert floor drains and trench grates. Frames for all EJ trenches and tile insert floor drains are built to high quality standards. By ensuring the frame doesn’t move, EJ prevents grates from deforming under pressure.